Online outsourcing has two major components: “microwork,” a process in which companies contract virtual workers from around the globe to complete low-skill “microtasks” online; and “online freelancing,” where companies can hire out more complex, professional services via a virtual platform. The main differences between those two types are the size and difficulty of the tasks. Microtasks, appropriate for people with limited training and basic literacy, might include image tagging, data entry, or text transcription. Workers are paid per task. Online freelancing requires greater skill and is more lucrative; this might involve graphic design or web development. There are many platforms already coordinating this type of outsourcing (cloudfactory, CrowdFlower, and UpWork, just to name a few). The World Bank’s study highlights the potential for youth and women, groups with historically high unemployment rates, to benefit from this unconventional style of employment. For youth, online outsourcing is a flexible source of income that could coexist with school or another job. The report states that since cultural and social norms keep women at home caring for family, online outsourcing could offer employment even within those constraints. Jobs lead to empowerment, many argue, and provide women with an independent source of income. There are also important limitations to online outsourcing. There are huge infrastructure barriers to this type of employment; the reach of the internet is growing, yes, but it is not everywhere yet. Internet accessibility is expanding mainly in urban areas, where power reaches households reliably. Rural areas may benefit from employment opportunities not tied to the internet instead. There are also hardware limitations; computers are often expensive investments. For the target groups of youth and women, encouraging virtual work around other existing structures like school or home life may actually reinforce suppressive cultural values. Students might drop out of school to complete easier microtasks, and women might find themselves even more tied to their homes with less freedom. Online outsourcing also requires some skill, and vocational training curricula would need to be established to build people’s capacities. A final limitation to consider is the role of governance; essentially no one is overseeing these online outsourcing endeavors, and online workers have very few traditional protections. To understand which areas might benefit the most from online outsourcing, the World Bank developed a toolkit for country preparedness. It measures many factors within countries (internet access, literacy rates, infrastructure costs, quality of education, etc.) that determine whether or not a country could benefit from systematized online outsourcing. Not every country is ready for this type of employment opportunity, but many are, including Kenya. Kenya has already seen massive growth in the online outsourcing sector, with 40,000 individuals registered on Elance in 2014 and with other sites growing in popularity. There is a social media community springing up around these virtual employment opportunities called freelancerkenya.com. Country-specific strategies are needed to ensure that online outsourcing would be successful and competitive in local contexts. Despite possible challenges to effective online outsourcing, the international industry could grow to a market size of $15-25 billion by 2020, employing over 30 million people. With appropriate regulation and attention to cultural externalities, online outsourcing could provide safe platforms for people with internet access to participate in a global job market. 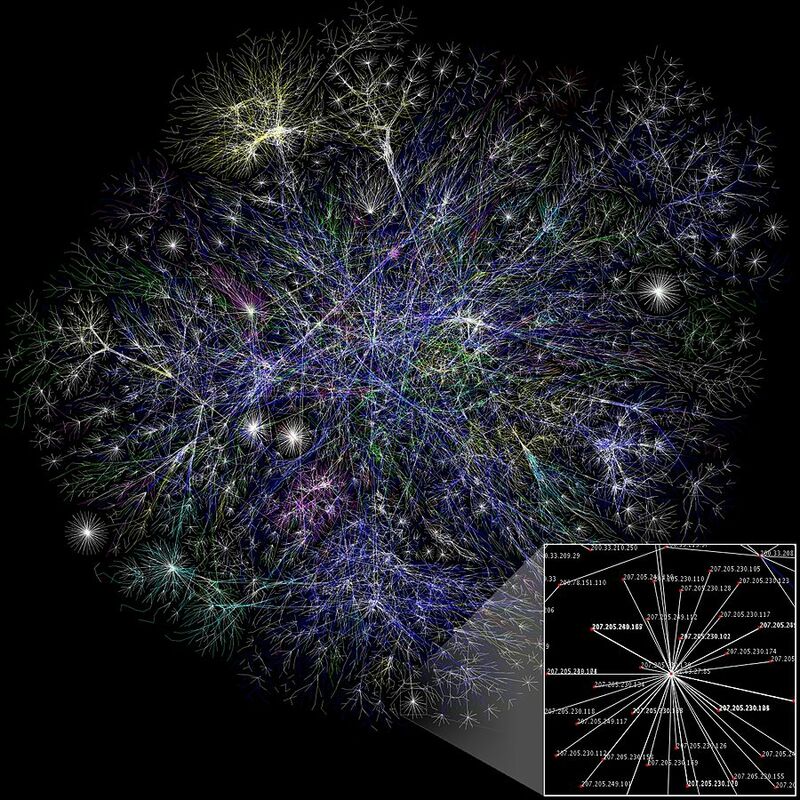 Photo: “Internet map 1024” by The Opte Project – Originally from the English Wikipedia. Licensed under CC BY 2.5 via Wikimedia Commons. ← Chinese Investment in Africa – Where Do the Jobs Go?